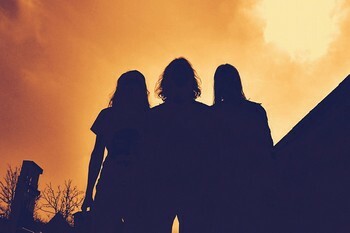 Ramesses is a young English band formed by former Electric Wizard and Spirmyard members and boy is this heavy as lead. Technically an EP, but running for forty minutes, We Will Lead You To Glorious Times is the soundtrack to hell. The band's music is hypnotic and crushing at the same time with its guitars slowly and surely pulverizing all resistance. The delivery is wholeheartedly simple, yet what a racket the band makes. The guitars are tuned to perfection which almost drowns the low vocals to a perfect degree of obscurity. The band sounds like a mix between Disembowelment, Winter and Incantation so the inclusion of two videos on the disc is just an icing on the cake here. - Ali "The Metallian"